femaleprofile | Tania A. Marshall, M.Sc. 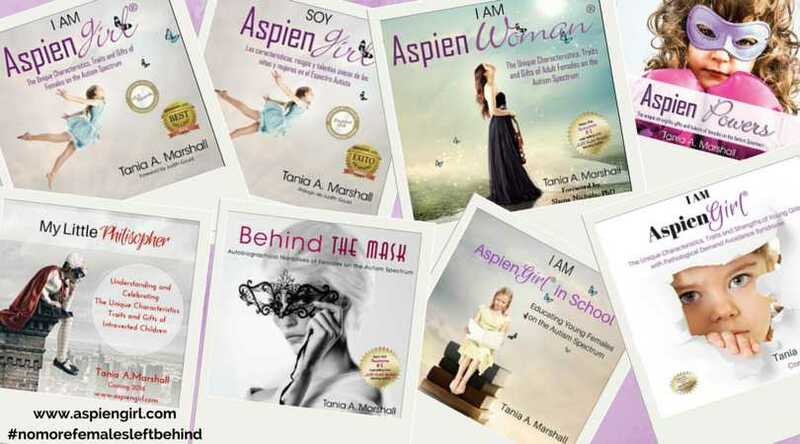 This interview is the third in a series where I interview Mentor Aspienwomen from a variety of countries about their lives, Asperger Syndrome, their gifts and talents and more! I founded the Aspienwoman mentor project to showcase females of all ages who act as mentors and role models. 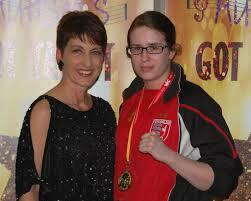 Jo Redman is based in the United Kingdom and is a twice-world champion kickboxer and she has Asperger Syndrome. She is competing for her third title shortly. Jo advocates for females on the Spectrum by writing her first book, raising awareness and completing speaking engagements. Tania: Welcome Jo and thank-you for joining the Aspienwoman mentor project, where we showcase female mentors on the Spectrum. When and how did you receive your diagnosis? How old were you at that time? Jo: I was diagnosed as an adult in May 2010 at 23 years old. For me the road to diagnosis had been a long and difficult one and I had to almost break before I got the help I need. I had been involved in mental health services since 2007 being treated for things like social anxiety, I remember I was even discharged at the end of 2007 even though I didn’t speak in many of the sessions I had and the therapist reported finding it difficult. The issues were clearly far from solved and it wasn’t long before I was back involved in services. Early 2009 I was having a mental health screening assessment conducted by a social worker, I remember her almost stifling laughs at my difficulty to verbalise, it was a very painful thing to go through. She reported that as I was in full time employment, with a long term partner, my own house and was not taking drugs or drinking that all I needed was medication from a doctor and a mood diary, despite neither of these kinds of things working before and my insistence that I did not want to take any medication. A week later I was being assessed by 2 psychiatrists in crisis intervention and four months later in the absence of any depressive, psychiatric or anxiety related condition I was referred for diagnosis of an autistic spectrum disorder. The whole process from January 2009 took a year and a half to complete. I have mixed feelings about it, I feel very let down by some of the services and the fact that you need to be breaking down before anyone even looks to see what is going on but then the fact that those who eventually were assessing me were able to query Asperger’s was a relief, I know how often Asperger’s can be missed in females and different diagnoses can be given. I also can’t fault the under resourced team who did the Asperger’s assessment, the psychologist who diagnosed me was incredibly helpful to me and they were only supposed to give 6-8 follow up sessions following diagnosis but I had a lot more due to some major life events occurring not long after diagnosis, they stuck around for over a year after diagnosis which I feel really lucky about. I would say that since diagnosis though it has been difficult to get the support I need for issues related to Asperger’s – the problems don’t stop with diagnosis and certainly not when you become an adult. Ultimately gaining a diagnosis was liberating and life changing for me, it was a huge turning point. Up until then I had worried extensively over who I was and why I struggled with certain things. I wanted to be part of things but always seemed to fail miserably. With diagnosis I was able to understand and accept myself. Tania: Many females I have worked with share you sense of relief and liberation, as you say, and describe the diagnosis as a turning point in their life. I am researching success and factors and you have an inspirational story. You are a two-time world champion in kickboxing. When did you begin kickboxing and why? Jo: Kickboxing is everything to me, it just makes sense and feels natural. I started when I was 13 years old with my Dad, he thought it would help to give me confidence. It took me two years to speak to anybody there but now I teach my own class and I’m quite well respected as a fighter there. I just feel like kickboxing is somewhere I fit, I am part of an amazing team at the BCKA they are like extra family to me. 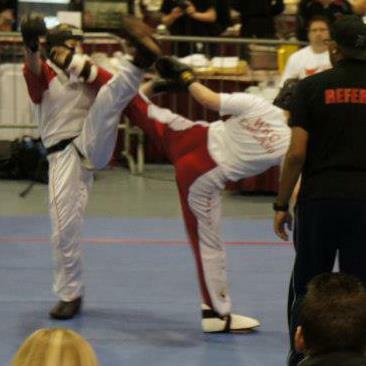 Kickboxing taught me I could be successful, it gave me an attitude to never give up and a sense of discipline. To me it is like an escape from the rest of the world and without it I am totally totally lost. It takes care of my stress and comes so naturally to me that it is a relief in a world where most things don’t. It is strange because when I am fighting I can read a person perfectly – I can sense when they are afraid, I know if they are hurt, when they are pumped up, I can tell sometimes what they are going to do before they do it. When I coach I can even translate these things to who I am coaching, I know what to say and when to say it to a fighter. Yet away from fighting I get lost and confused, I struggle to find the right words and to know where to slot them in. I don’t always pick up on how someone feels and when I do I have no idea how to deal with it. Asperger’s and kickboxing go perfectly together as far as I am concerned. Aside from the fact that martial arts and fighting disciplines provide structure, routine and boundaries, are confidence building, stress relieving and help to develop muscle tone, proprioception and co-ordination…for me growing up undiagnosed has meant that I know what it means to fight and I know what it takes to win because I had to fight for everything and just to survive in this world. 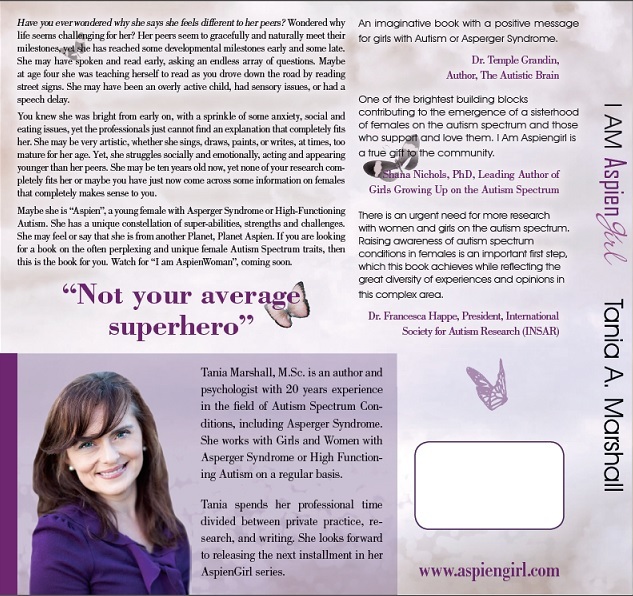 Tania: What is your secret to living successfully, as a female with Asperger Syndrome? 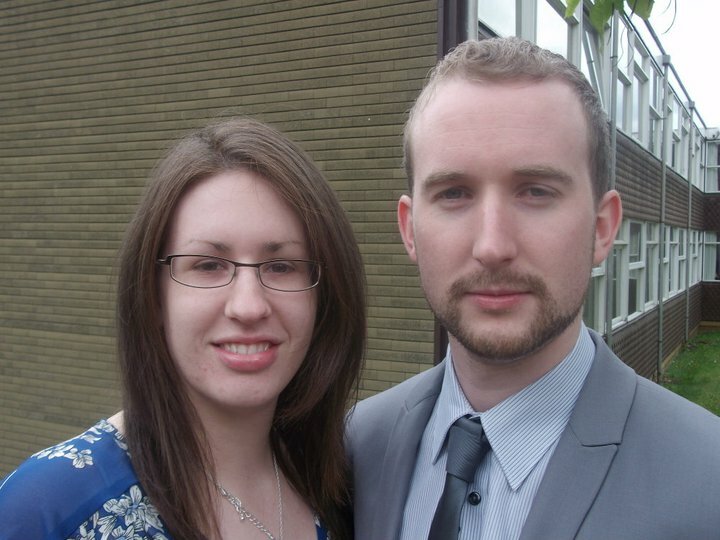 Jo: Asperger’s Syndrome to me means I need to work harder than everyone else to be successful. I am determined, driven and resilient, I want to succeed, hate to lose and refuse to accept what people believe I can’t do – it is my choice what I do or don’t do. I love to prove people wrong and make no mistake if they ever doubt me I will prove them wrong! One of the biggest things for me is having that good support network, my husband Adam is an absolutely incredible and amazing human being. I often forget to give him credit for what he does for me everyday. We have been together since 17 and he has always refused to walk away no matter how tough things got and they did get pretty tough. Adam is kind, patient and in his own words ‘likes a challenge’. Life in our house is never boring. He is very supportive and without him I would have done nowhere near as much as I have. The biggest thing aside from this was gaining understanding of Asperger’s and applying it to gain an understanding of myself. I’m kinder to myself, don’t put pressure on myself to do the things I can’t. My understanding has helped me to implement a range of solutions to my need for structure and organisation – I live in a goal orientated environment with processes and actions to help achieve the goals I set. Achieving my goals makes me happy. My house is run almost like a business, we have a 22 page household processes manual which enabled me to do the housework. I had to define the process of how things were done before I could do them. There is a lot that goes into me being able to function well on a day to day basis and most of this is never seen! Tania: You are absolutely right when you talk about the invisible effort that goes into Aspiens day-to-day functioning. You have also set up your own business, Top Form Sports & Remedial Massage, as well as teaching kickboxing with the BCKA. What advice would you say to other females on the Spectrum? Jo: I grew up worrying about who I was, hiding and avoiding things. 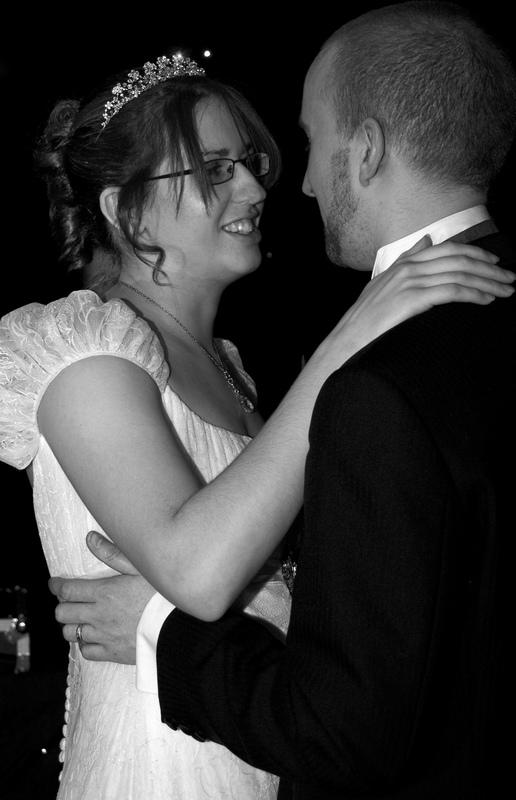 I thought I would never be able to achieve things as simple as getting married and learning to drive but I have managed to win 2 kickboxing world titles, I have trained and qualified as a sport and remedial massage therapist, I’m establishing my own business, teaching kickboxing and speaking to audiences about Asperger’s and my experiences kickboxing. Just in this year I have done far more than I could ever have imagined. The biggest pieces of advice I ever received, and these have shaped my life completely, were first that it was ok to be me – I just think, act and behave differently to others and its not wrong or right. The second was life is about choices, you have two choices you accept something and get on with it or you change it – there’s no need to moan about anything. If I don’t like how my life is I change it. One of the big things I would say is don’t be afraid to have a dream. We all have something we are good at or that interests us, whether on autism spectrum or not, be confident in what you know and what you do. I set myself the goal to be a world champion at 13, never really thinking it would happen but I held on to it and it did. In life everything has to come from you, wherever you are in the world and just because someone else thinks it isn’t possible it doesn’t mean that it is. Celebrate your talents, your achievements and what makes you uniquely you – have a goal, have a dream and never give up on working toward it. Tania: That is fantastic Jo and such an inspirational story you have. I love this picture of you and Anna, as you are a Patron of Anna Kennedy’s charity. What are your goals for the future? Jo: What I want for the future is simple, I want to be the best that I can be in whatever I choose to do. I want to continue being successful in my sport, establish and be successful in my business and develop myself as a public speaker. I have just recently started writing my book and I’m over halfway through, I’d love to see this published. I also am one of the patrons of autism charity Anna Kennedy Online and I want to help out with awareness where I can. Away from autism my mum also has MS and eventually I would like to raise some money for the local MS Centre which runs solely on donations – they have been a huge lifeline to my mum and do brilliant work. One day I would also like to have a family with my husband. I love to be kept busy and I’d also one day like to perhaps give something back to people like myself. I’d love to help other martial artists competing at a world level fund their sport knowing the difficulties I have had with funding and also I want to be able to help people on the autism spectrum to follow their dreams through providing funding or some kind of grant. It is all a far away idea but something I would love to make happen once I am more settled and perhaps retired from competing myself. I’d also like to study and get a degree in something related to my field, not sure quite what yet. There are quite a lot of things I want to do really! Tania: Where can people find out more about you or follow you? Jo: Thank-you Tania for inviting me and I’m proud to be able to be in a position where I can mentor others. Tania Marshall©. 2013. AspienWoman Interview Mentor Series. All rights reserved. Duplication in whole or part is explicitly forbidden. Thank you. This is my 6th Interview of people involved in the world of Autism or Asperger Syndrome. Previous interviews of mine include: Professor Uta Frith, Maja Toudal, Kathy Hoopman, Lynn Marshall, Rich Everts and The United States of Autism Movie. This interview is the second in a series where I interview Mentor Aspienwomen from a variety of countries about their lives, Asperger Syndrome, their gifts and talents and more! Actress Olley Edwards is a professional actress from the United Kingdom and an Aspienwoman mentor, who seriously advocates for female Asperger Syndrome through by making a movie and writing a book about the condition. Tania: Welcome Olley and great to have you on join a phenomenal group of female mentors, in this interview series and future book! Olley: Tania, thank-you for inviting me and it is a pleasure and a bit of a mission of mine to advocate for females with Asperger Syndrome. 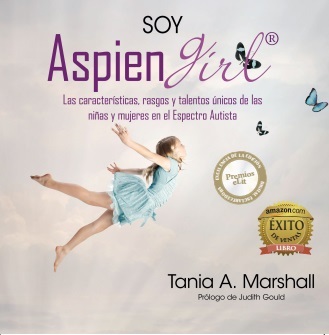 Tania: I came across you in my research on female Asperger Syndrome. I had initially heard about you in terms of this incredible movie that you were making, at the time, called “The Kindest Label”. When I read your script I was very impressed. I also want to say that I love the title of the movie because one of the most common comments I come across for not having a female formally diagnosed is the stigma of a ‘label’. Please tell us about your movie? 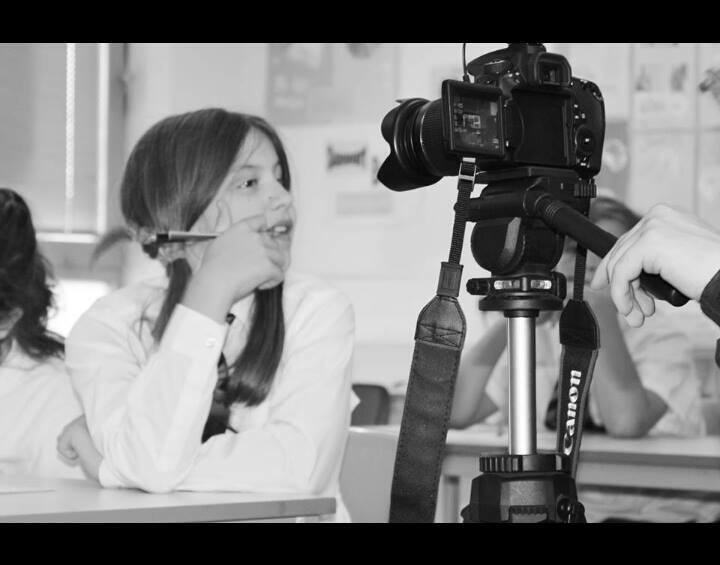 Olley: ‘The Kindest Label’ is a short 20 minute film about the importance of an early diagnosis of females with Asperger Syndrome and the consequence of a late or missed diagnosis. The movie told from the view point of lead role “Belle”, not only as an adult with a late diagnosis but also by Belle’s younger self experiencing the lack of understanding and support she should have had. Belle is a complex adult with addiction issues living in temporary accommodation. She is trying to rebuild her life now that she has received her late diagnosis at 26. Her younger self who tells her story in flashback scenes is a clever and bright young girl who has very little support in school and in safeguarding issues.‘The Kindest label’ also shows the adult Belle, with scenes of how she now can see how her life could have been happier if she had been diagnosed sooner. 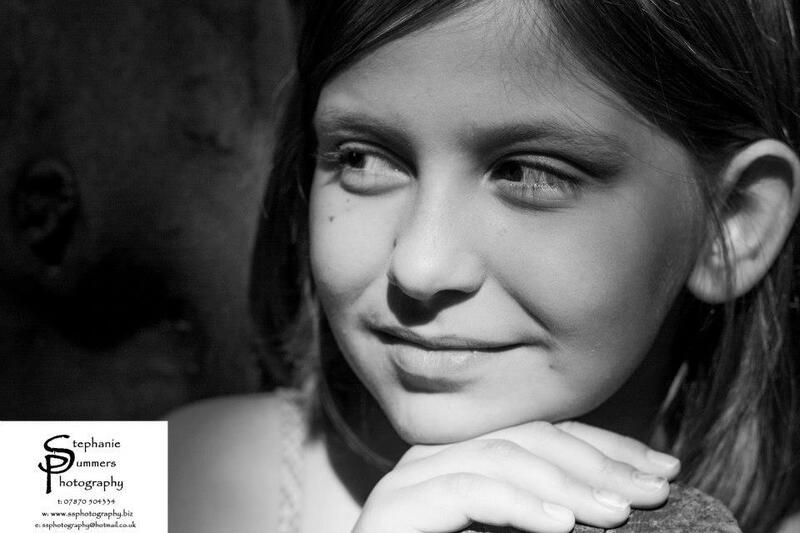 It shows just how Belle’s life could have been with Asperger Syndrome, the “The Kindest Label” she ever had. ‘The Kindest Label’ is going to be entered into as many film festivals in UK and Internationally as possible, My aims by doing this are to raise awareness, (open a few eyes and prick up a few ears) and to hope that someone with the expertise, money and contacts likes it enough to make it into a feature film for a global audience. My film is intense, information packed, hard hitting snap shot at late diagnostic consequences but it could easily be expanded upon to make a ground-breaking feature. The movie aims at raising awareness and changing the perception of “what female AS” looks like forever. Tania: How can people view ‘The Kindest Label’? 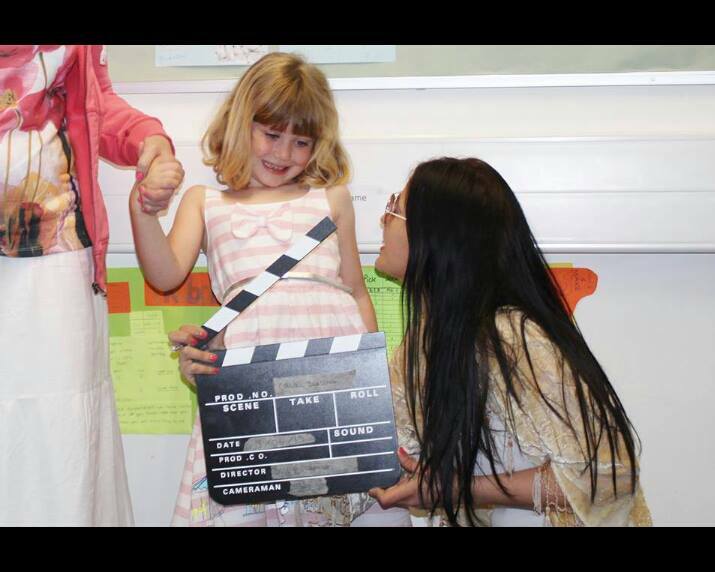 Olley: Due to festival regulations, I am unable to post film online until after festival use, to raise awareness in the meantime I am arranging private screenings and will endeavour to take film into secondary/high schools to use along with my book to talk about female Asperger Syndrome. Tania: You directed this movie and you are an actress yourself? Olley: I wrote, co-directed and acted in “The Kindest Label”. Luckily, being an actress, I have great actor, director, cameraman friends who came on board and gave up their free time and talent to make this happen. Playing Belle as an adult was a pleasure as well as hard work , to prepare myself for the “homeless addict” role didn’t wash my hair for 8 days and it also meant filming with no make-up or glamour, this felt very vulnerable as its normally these “costumes” as such that help me feel more confident when acting. I am however more than pleased with the end result as Belle is a very guarded yet unconfident young woman and that shows on tape. Tania: How did you get involved in acting? Olley: I started acting at a very young age; it started with dance lessons at 4 which grew into attending South Hill Park, the local arts centres drama classes every Saturday by 8yrs old. I became obsessed or should I say, hyperfocused with entertainment and was interviewing pop groups on Saturday morning TV by 10. I loved entertaining of any kind and took part in local productions and the school plays. My school was just a normal state school, it was huge, scary and I hated it. I went for one reason and one reason only, we had a great theatre and I use to skip PE and any lesson I could go unnoticed in just to pretend it was my drama lesson and go there instead. The teachers soon realised what I was up to but they let me get away with it most of the time. I got the role of the Artful dodger in the main school play, I prepared for this by constantly watching Oliver on VHS and copying the role of dodger over and over again. It was a boy’s role but loved playing a boy and was convincing enough to receive the school drama award for it. The next year I started lessons at a very well-known London Drama school. I only went one day a week but it was always the best day of the week. I felt so at home there and was offered a small role in Disney movie, which I couldn’t take up on, however the head offered me a full scholarship. Sadly I couldn’t attend fulltime as we lived to far away and the lodgings were very expensive. I can remember crying for a whole day in my room. I must have had the whole street thinking what a spoilt brat I was. I know now I wasn’t a spoilt brat, I was having a meltdown and unable to continue with my subject of hyperfocus. I’ve always been an extremist 100% in or 100% out. Very black and white thinking. To me this meant I could never act again and I went downhill into an extreme teenage rebellion by the age of 13. I had replaced the friend and buzz of acting with secret drinking, drugs, you name it. This resulted in a teenage pregnancy by 15. From the moment I knew I was to be a mum my hyperfocus was just that. To be the best mum I could be. I knew it wasn’t going to be easy but I loved being a young mum and I felt truly blessed. I was married by 18 and had my 2 other daughters within that marriage. My obsession was 100% on parenting and housekeeping. I lived in constant anxiety that I wasn’t the perfect mum, developed OCD and insisted on everything being lined up a certain way, certain coloured ornaments in in certain rooms and felt so empty that I started to diet a lot, weighing just 6.5 stone at 22. I was very happy being a mum. I live for the girls, I loved the routine of marriage but I did feel like I was just playing another role and something was missing. I felt I was never good enough but I was a great mum and wife I just had a huge chunk of my identity missing. After my divorce, I had these awful voids of time where children were at their dads and step mum’s, I filled this void (which I can only liken to having 3 limbs removed) to go back to my first love, acting. My acting has gone strength to strength and even if I’m sleep deprived I feel acting energises me mentally. As any mum knows you have to put a brave face on a lot, any single mum with several children on spectrum will tell you how that brave face may as well be super glued on some days! Acting is once again, my safe place, whereby I can have escapology, display emotions, spend time with others, and cry on demand if required too….with ease. Tania: I have provided formal diagnoses and personally know many actors/actresses with Asperger Syndrome. Your own daughter Honey is also an actress and has Asperger Syndrome. She also starred in your movie. Did Honey naturally follow your footsteps, in terms of acting? Olley: Honey has many talents. It would have been unfair for me to push her on the stage all “pushy mum”- esque. Honey also loves reading, history and sci fi. Honey is a really intelligent young girl but this intelligence was leading her to be very isolated and she was spending huge chunks of time alone in her room, not hours, not days but up to a week at a time in summer holidays. With the help of a bursary from South Hill Park, the same Arts centre I went to as a child, Honey was given a small role in the Easter show. I will never forget the first day when the teacher asked me if I knew Honey could sing. Actually, no , I didn’t know she could sing, Honey was almost mute at home after being drained from school. The first time I saw Honey acting and singing on stage I couldn’t believe it. It was like looking at a different child. Her Aspergers leaves the building the moment she is on stage or in front of a camera. As a result her confidence is so much more improved and she still receives a place every summer and Easter at South Hill Park. Honey also had the lead in a short film “A Fathers Gift” and the lead in ‘The Kindest Label’, my Aspergers film. Tania: How is the diagnostic process in the UK? Olley: The diagnostic criteria in the UK has well improved since I was younger. The doctors who diagnosed my two daughters were outstanding! Honey was diagnosed very quickly with Aspergers at 6 and Cherish was diagnosed with standard Autism at only 2 years (however I believe her to be more Aspergers). The criteria for teen girls, young women and adult women though I feel, is shocking. Female Aspergers looks so different to male Aspergers and women are still going misdiagnosed. Many of the Asperger traits look a lot like depression, anxiety and bipolar disorder but they are merely co-morbid conditions to undiagnosed Asperger Syndrome. Tania: Has Honey’s diagnosis and the new research on female Asperger Syndrome caused you to seek a diagnosis for yourself? Olley: My parents have been and always are very supportive, In the midst of my teenage rebellion they sought help for me after I refused to go to school, spent hours alone in my room and had full blown tantrums (better referred as ‘meltdowns’). The doctor they saw called me lazy and washed his hands of me. After the routine of marriage I felt I was getting more and more anxious again, and with the fact I had two daughters on the Spectrum made me seek my diagnosis at last. The doctor I saw said on paper I was very Asperger’s, scoring sky high on a paper test. The Doctor however insisted that I couldn’t possibly be Aspergers on the basis I spoke about acting a lot (apparently people with Aspergers can’t act) and the fact I maintained eye contact (I stare). I don’t know what he expected me to look like? Perhaps wearing a anorak and reciting train time tables (I do actually own an anorak and yes I do know the London train route a little bit too well but I also know not to make it common knowledge)? I found it a puzzle as Honey is a great actress yet she is Aspergers? I wondered if females and males on spectrum presented differently. I went onto Google to research the differences in male and female Aspergers. The criteria felt like someone had watched me from birth and taken notes. I felt a rush of relief and sent it to as many friends as possible. I know in my heart I have Asperger’s, and I will now gain an official diagnosis outside the UK. My aim to do this isn’t to get support or services perse. I am 31 now, I cannot get my schooling or teen years back. It’s not even to let my inner rebel have her day and wave it in the face of the UK doctor who said Aspergers people can’t act. 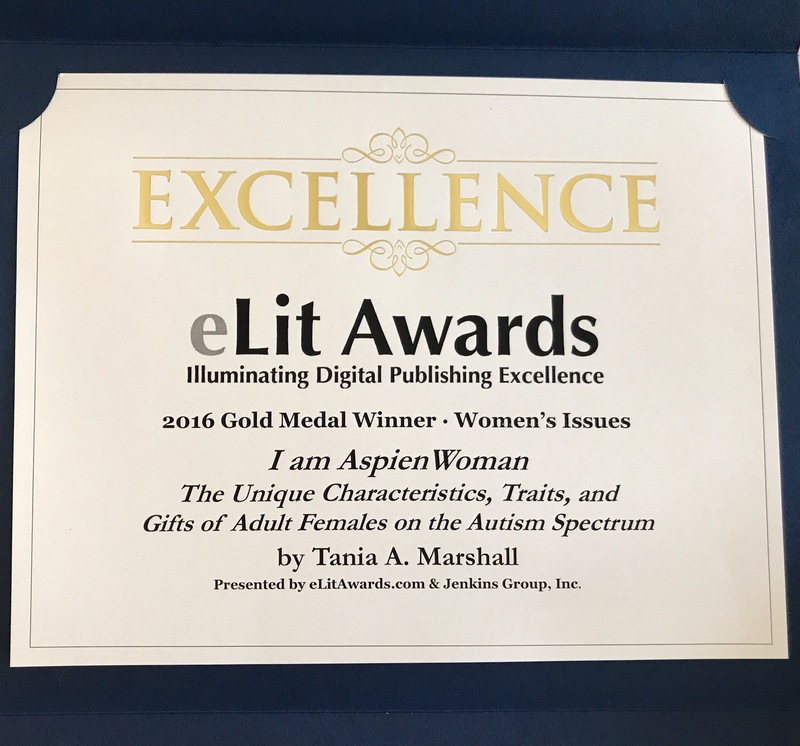 It is because, at last, I have my identity, my missing puzzle piece and above all I am proud of whom I am and that is an Aspienwoman, an adult female with Asperger Syndrome. Tania: How do you think having Asperger Syndrome helps in terms of being a great actress or actor? Olley: Females with Aspergers don’t make good actors, they are BORN actors. Neurotypicals spend thousands to learn method acting at university, but female Aspergers method act, without even knowing from day one. They are chameleon, watching people’s actions, mannerisms, accents and language and mimic this to get by, to socialise, to communicate. Acting is an Aspien girls second language, almost like being bilingual. Tania: Now, not only have you made a movie about female Asperger Syndrome, but you mentioned earlier you have written a book entitled ‘Why Aren’t Normal People Normal? 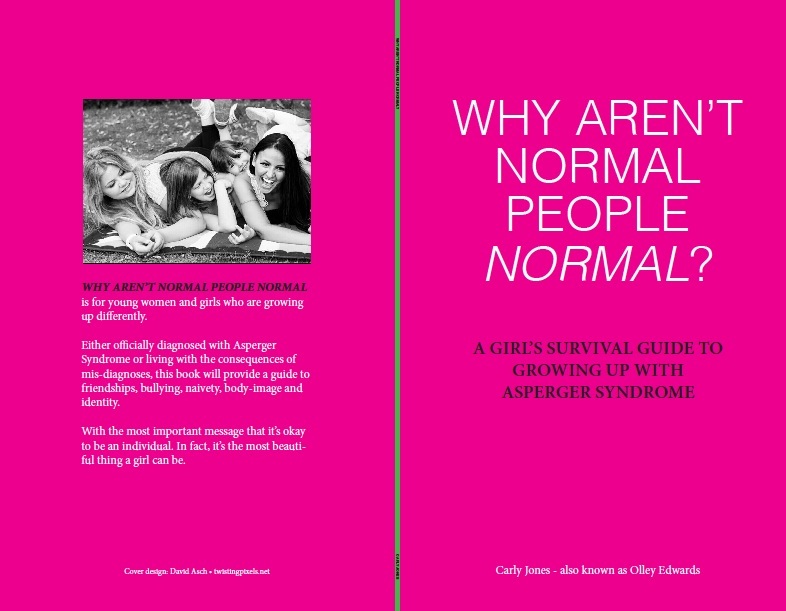 A Girl’s Survival Guide to Growing up With Asperger Syndrome’. Olley: Yes, I have just finished it this past weekend and it is more of a guidebook for girls, in terms of what will help and support them as they develop. Tania: Where can people purchase your book? 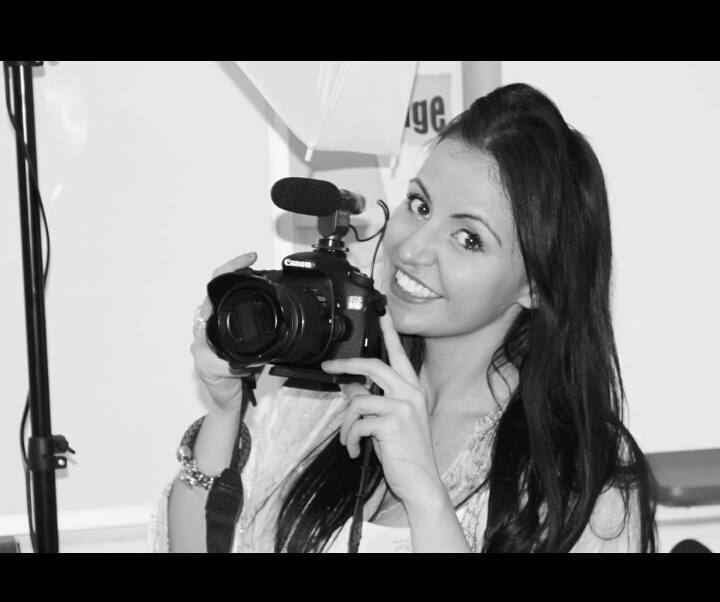 Tania: It has been a real pleasure to interview you and you are such an inspiration to the many females with Asperger Syndrome. Thank-you for a fabulous interview and for doing what you do for the many females all over the world with Asperger Syndrome. Olley: Thank-you for interviewing me and providing a platform like this where people can and learn more about female Asperger Syndrome, mentors, information and resources. Aspiengirls may have a preference to spend their time in solitude and/or with animals, their dolls, teddy bears or imaginary friends or imaginary animals. Their animals or toys may be their best friends. Aspiengirls who want and have friendships, are more likely to interact intensely with one other girl or boy. Remember, one of Aspiengirls superpowers is her ability to work exceptionally well one-one-one or presenting to others or a group. Her friend often provides support, guidance and social information to her to help her navigate the unwritten social rules and the playground. Aspiengirls are most often very loyal friends. They find gossip, bitchiness and back-stabbing a complete mystery and are uninterested in these types of behaviors. Aspiengirls are known to be naive, socially and emotionally immature (often years behind their peers) and particularly vulnerable to being taken advantage of, especially if they are lonely and desperate for a friend. Aspiengirls are often more successful socially with boys, as they find boys, generally speaking, less complicated, their ‘play’ is fun, more functional and interesting. Aspiengirls find their female peers engagement in conversational and emotional play boring and confusing. Many Aspiengirls fidn they have more in common with their males peers and get along with them better as conversation is less confusing and mutual interests more appealing. There is a sub-type of Aspiengirls that “flitter” from group to group not forming any close friendships with their peers, not knowing or understanding how to navigate the various cliques or groups. Aspiengirls have trouble understanding the levels of friendships, the social hierarchy and the social roles that various members of a group or groups play. In school, girls with Aspergers can feel quite lonely, they may make friends with peers from a variety of other cultures, . Most often, Aspiengirls have flown under the radar and may not be identified as all as being Aspien until the tricky teenage years. I have seen various sub-types in my clinical practice. One group of teenage Aspiens I have worked with is a group characterized by very good grades, an embracement of good moral behavior, and a late development of interest in romance. This group often finds it challenging to be assertive and stand up for themselves. Some of them may be described as ‘puritan-like’, rule-bound or late-bloomers. 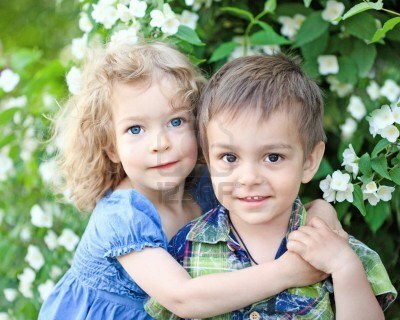 Girls appear to be better than boys at masking the traits of autism in social situations,. However, girls are less able to do so in unfamiliar settings. The other sub-type of Aspienteens I have seen is the opposite of the group I mentioned previously. Rather than embracing the moral code, they reject social, moral and authority codes, which combined with naivity, social and emotional immaturity, a belief in the ‘good’ in others, leads them a number of difficulties, ranging from experimention with drugs, to a history ofabusive relationships, continually being taken advantage of, in addition to dropping out of school. This type of Aspienteen has been described to me by many a parent as having “gone off the rails”. One particular example was of a parent who brought in pictures of what her Aspien looked like the year before and then showed me pictures of what she looks like now. There had been a dramatic change in appearance and attitude, along with her choice of social contacts, her sexual behaviors and dress. Some seek out a “counter-culture to fit into. Social differences and difficulties are common among Aspiens and social skills training, drama lessons or coaching can be quite helpful. The type of social skills training is important and the above two groups need different intervention in terms of social skills training. Tania Marshall©. 2013. All rights reserved. These writings are a part of the AspienGIRL™ Book Series. AspienGIRL™ and Planet Aspien™ are registered Trademarks. Duplication in whole or part is explicitly forbidden. Thank you. The following profile was created for older teens and family members who are considering a formal diagnosis and to assist mental health professionals in recognizing Asperger Syndrome or Autism in young females. Females with Asperger Syndrome experience their symptoms in varying levels, so while some Aspiengirls are highly introverted, others are not. Females with Asperger Syndrome or Autism tend to be discriminated due to the wide spectrum of abilities or levels of functioning that exists. The majority of females do not receive a formal diagnosis until teenagers or well into their adult years. This list typifies many of the girls and teens I have worked with. This document is based on my clinical anecdotal evidence and research by other well-known professionals. I will be modifying and/or updating this list from time to time. Highly Sensitive and sensory issues (visual, hearing, smell, touch, balance and movement, intuition). A feeling of being different to their peers. Social skills differences, which may be displayed in a variety of ways that vary from their same-age peers. For e.g., may be shy in social situations, have one best friend or be a floater (floats from one group to another and having superficial connections with others). A less developed or little understanding of facial expressions, social context, non-verbal body language, theory of mind. Self-taught. The ability to teach themselves or learn about anything they are interested in. A preference to direct their learning, rather than teacher-directed learning. Anxiety and/or fears, including negative all-or-nothing thinking and/or Obsessive Compulsive Disorder or obsessive tendencies. Intense love and/or interest in animals, nature, celebrities, fiction, art, mathematics, languages and/or other cultures. May be obsessed with a person, real or fiction, in an unhealthy manner. Other common special or obsessive interests may include but are not limited to: philosophy, psychology, history (for example, Ancient Egypt or Rome, hieroglyphics), languages, Wicca, Vampires, Occultism, psychological profiling and/or criminology/serial killers/detective/FBI/forensic psychologist, science/space/NASA/Stephen Hawking, technology and programming, physical appearance (for example, Gothic, ultra-feminine, tomboy), fantasy, English literature, Law, make-up artistry, art, acting). May be naive, vulnerable and have a tendency to be taken advantage of. Often confused socially, saying she knows what to do in a social situation when she really does not. Girls appear to be better than boys at masking the traits of autism in social situations. However, girls are less able to do so in unfamiliar settings. May have a different voice, for example, younger than her age, talks “babyish” for her age at times, speaks in an accent or in a monotone voice. May be a tomboy, a fashion diva or a princess. May or may not be interested in looking feminine. Experiences social exhaustion or “social hangover”, from an inability to socialize as much as her peers are able to. She may dominate when playing or talking with other girls OR be passive, quiet and “invisible” within the group. If she is dominating, her play tends to appear to be shared with others but she dominates and insists that others follows her rules and themes. If and/or when others refuse to be engaged she continues on with her own ideas or play. Her play tends to be mostly repetitive. If she is passive, she’s more likely to be compliant and may not come across as having social impairments. She may also be shy, embarrassed, coy, naive, innocent, unassuming, and hide or “camouflage” her difficulties, even lying about whether she needs or understands something or needs assistance or help. She is most likely to be described as “flying under the radar” or “blending in with the walls”. Intense. There is no other word for it. AspienGirls have an intensity in everything they do. If they cannot do it right, do it properly, do it right the first time, they tend to refuse, avoid, and or express frustration/distress. When taught to persevere, to develop frustration tolerance, to manage their emotions, they are most often successful in whatever they pursue, to the point of becoming an “expert”. 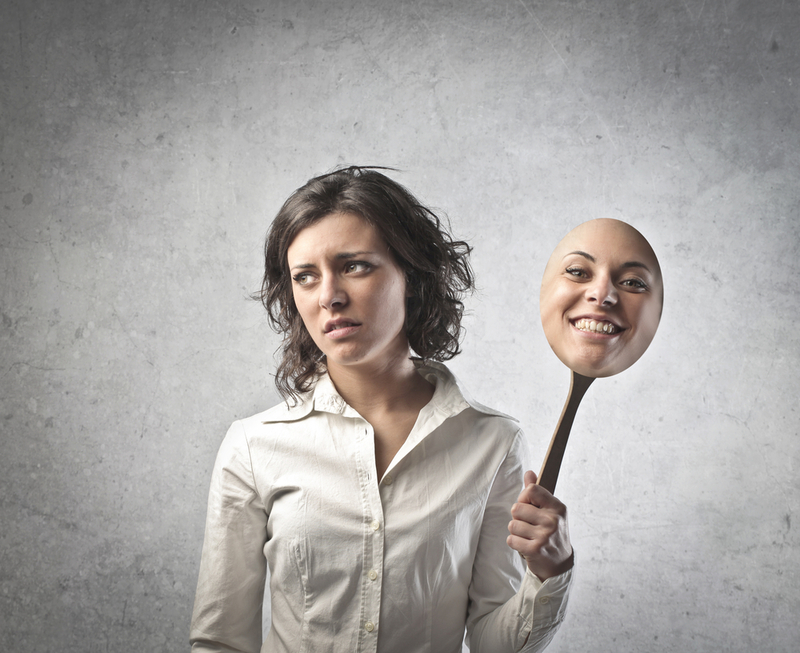 Can be obsessive about people, especially if they feel or perceive that they have been “wronged”. This can get them into trouble at times for hurting others or taking revenge. May obsess over or stalk people. May have a misguided sense of justice that leads them to getting in trouble with other people, lawyers or the legal system/law. Intense dislike of disagreement, conflict, arguments, people yelling or shouting at them or around them. This them tends to an avoidance of conflict causing more serious communication difficulties. For example, this may be observed in a person who is unable to deal directly with a person they may have an issue with, but rather engages in talking or gossiping about their issue with that person with everyone else. An inner resilience, strength and ability (strong will and determination) to bounce back from stress and setbacks time and time again. This does depend on particular internal and external factors at play. Some strengths, abilities, talents and interests may include: enjoying fantasy worlds, fiction, acting, modelling, art, mathematics and numbers, music, song-writing, perfect pitch, writing fiction, languages and/or translating, caring for nature and/or animals, research, learning and studying, intelligence, teaching, helping others, science and medicine. May dislike people looking or staring at her. This is often a huge barrier for talented and gifted performers (for example, singers performing in front of others or crowds, actors being on the red carpet). 81. May be very social, very loud, extroverted and make continual attempts to be part of a group. Her attempts are clumsy and her peers may see her as not quite fitting in. She lacks social skills and a social understanding to help the interactions go gracefully. Her peers don’t quite understand her social awkwardness and may be be mean to her, ostracize her and/or make fun of her, taking advantage of her naivety. She may appear to “flitter” from one person to the other or one group to the other, unable to have a typical friendship, due to smothering people or groups. Her peers take advantage of her, make fun of her and/or will be mean to her, saying they are her friend one day, but their actions prove otherwise. The issues revolve around girls being mean to her and cutting her from the group. She often smothers others and doesn’t understand the levels of friendship or social boundaries. Thumb-sucking may last well-past pre-school age, until 9 or even 10 years of age. 83. Often as a teen, spending breaks/lunches alone in the hallways, toilets, library, or with a teacher, due to not being part of a group and/or having no friends. May have Synaesthesia, in particular mirror-touch synaesthesia. Research studies hypothesize that empathy is experienced by a process of simulation. So for example, when we see someone feeling happy or sad, the same neural circuits used to make them feel happy are activated in our brain. Since mirror touch synesthetes have heightened activation of mirror systems, it can be hypothesized that that these individuals may also experience higher empathy, and this has been confirmed by research in this area. Mirror touch synesthetes experience more empathy than non-synesthetes. A research study by Michael Banissy et. al determined this by using the empathy quotient (EQ), consisting of three main scales: cognitive empathy, emotional reactivity, and social skills. Mirror touch synesthetes showed significantly higher EQ scores in emotional reactivity than in controls. However, synesthetes did not show higher scores in cognitive empathy and social skills. Thus empathy is multifaceted, and the tactile mirror system may not be fully responsible for the ability to empathize (For more information, check out Banissy, Michael; Jamie Ward (July 2007). “Mirror Touch Synaesthesia is Linked with Empathy”. Nature Neuroscience 10 (7): 815–816. doi:10.1038/nn1926). Attwood, Tony (2006). Asperger’s and Girls. Future Horizons. Kopp S, Gillberg C. Res Dev Disabil. 2011 Nov-Dec;32(6):2875-88. Epub 2011 Jun 12. 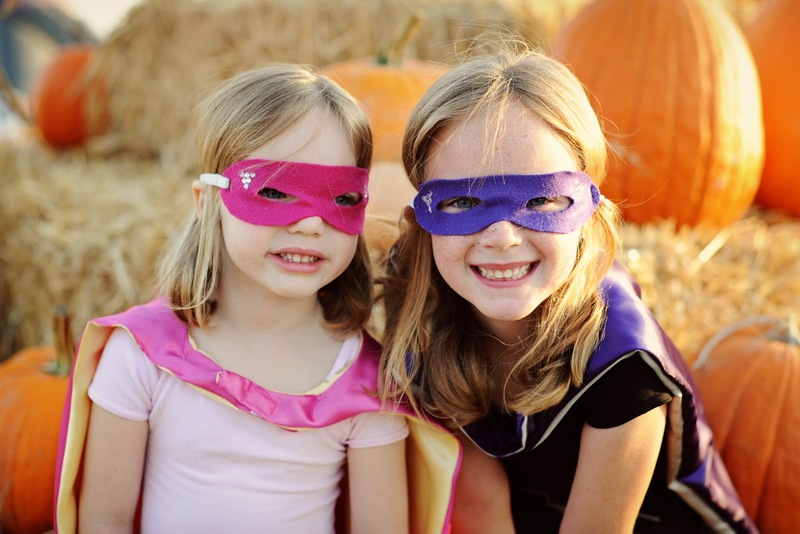 FAQ: Why do your pictures include visuals of girls or women in superhero outfits? In my clinical experience and work, I never cease to be amazed by an Aspiengirls’ ability to bounce back from stress and setbacks time and time again. I refer to Aspiengirls’ abilities as “aspienpowers” because there is no other group of girls or woman I know of with the unique profile of abilities, traits and characteristics (aspienpowers) that enable them to be highly successful in their chosen careers and/or life, given the right environmental fit and support. Tania holds a Masters of Science in Applied Psychology and a Bachelor of Arts in Psychology. She is a best selling author, child and family psychologist and Autism consultant. She is an APS Autism Identified Medicare Provider, a Helping Children With Autism Early Intervention Service Provider, a Better Start Early Intervention Provider, a Medicare Approved Mental Health Provider and a Secret Agent Society (SAS) Trained Group Facilitator. She regularly provides diagnostic assessments, support and intervention and divides her time between private practice, writing and research. 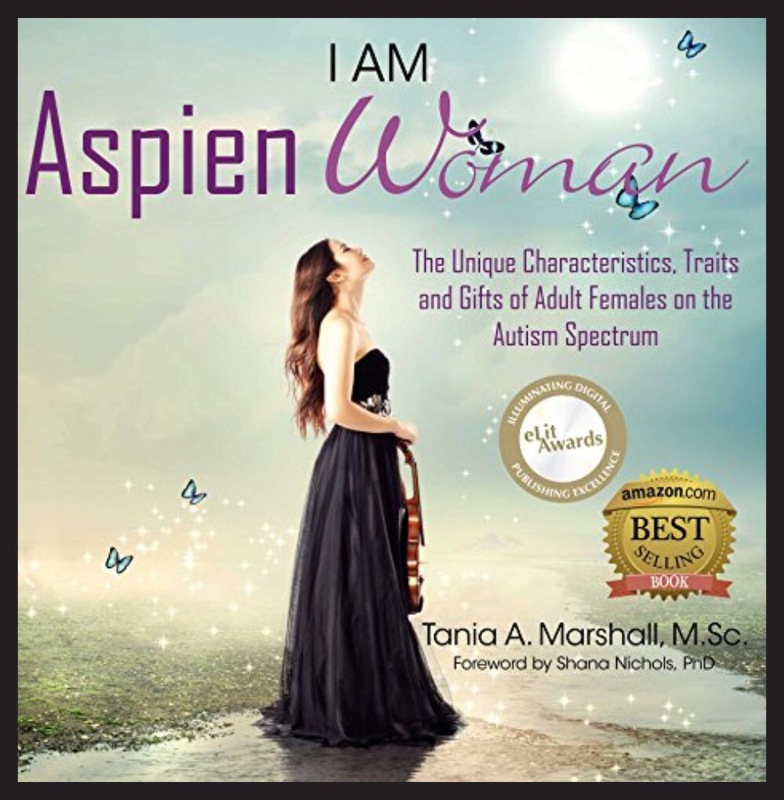 Tania has now completed the first two in a series of books on female Autism. 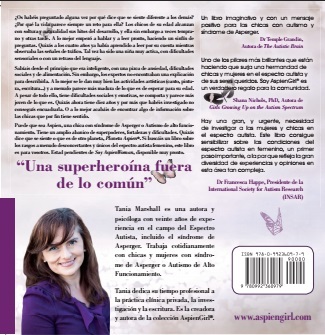 She is now writing her third book entitled AspienPowers: The Unique Constellation of Abilities, Strengths and Talents of Females on the Autism Spectrum”. Tania Marshall© 2013-2015. All rights reserved. Thank you.